You’ve probably seen the commercials when you’re streaming or watching live television. “Order your aligners and get your teeth straightened for less!” They promise an inexpensive treatment, and you don’t even have to see the dentist. Unfortunately, it’s an partially empty promise, and one you can’t afford to take seriously for the sake of your smile. Underlying dental health problems could compromise your results. Cavities and tooth decay should be identified and fully treated before undergoing orthodontic treatment. Orthodontic treatment with clear aligners like Invisalign can create the perfect environment to make other teeth vulnerable if decay is already present. At Encino Dental Studio, we carefully examine your teeth from the roots to the crown to make sure they are healthy before starting orthodontic therapy. Braces can be hard on your gums. Not because of the materials, but rather due to the fact that bacteria has more access to the periodontal tissue. Dr. Jamsheed keeps an eye on his patients with braces or Invisalign to make sure gum issues are quickly resolved before progressing into something more severe. Finally, moving your teeth is a delicate process. 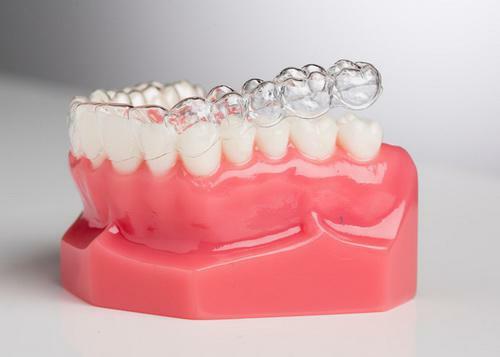 Before we order your aligners, we take careful imaging of your teeth to project how they will move and when. If your teeth aren’t adjusting the way they were predicted to with a mail-order kit, you have no dentist or orthodontist familiar with your treatment to provide care. Invisalign clear aligners work very well on your teeth to correct crowding and other alignment problems, but they work best under the watchful eye of a dentist or orthodontist. Don’t get your treatment from a commercial center across the country. Visit Encino Dental Studio for a custom fit and the best results.